A rubber jar, fun and surprisingly unusual, giving the impression of a ceramic jar. The colours are undoubtedly very appealling and the material is purely unique, for those who search for something different, modern or practical especially with children around. Rubber vase is funny and unusual. An amazing piece! 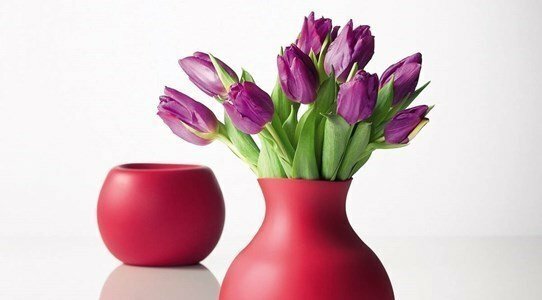 The rubber is a flexible material and can change the vase shape depending on the flower you want to put in it. It's time to have fun and enjoy this day. Fun, good mood: it's Carnival!